Many students fear the writing part of the GED test. And we understand. After all, it takes effort and time to organize your ideas, fix sentence structures, and ensure that grammar, punctuation, capitalization, and spelling are correct. With only 45 minutes to complete your essay, how will you be able to finish your piece? Thankfully, there are ways to make this part easy for you. You don’t have to be a gifted writer to write succeed in writing a winning essay for the Extended Response portion of the GED writing test. There are tips to succeed in writing your essay. What’s in the GED Writing Extended Response Portion of the Test? 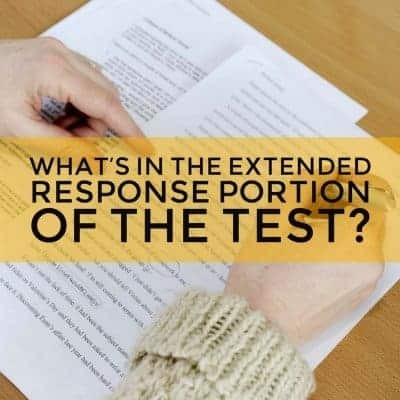 The Extended Response part of the GED Language Arts test assesses your ability to develop an argument and support this with strong evidence. You will be asked to read two passages with opposite perspectives on a topic. You will be required to read these two passages and choose the position which you think is better supported. This test will check how well you create arguments and use evidence. Also, it would also test your clarity and command of Standard English language. Take a deep breath. Nervous about the test? Ease anxiety by taking deep breaths before writing your essay. Being stressed while writing might keep your focus away from the task and affect the quality of your essay. Read the two passages carefully. Make sure you understand each passage before choosing your position. Make an outline. Don’t write right away. Create an outline first. Choose a position that you can easily defend based on what you’ve read, then list down the main points to support this position. 3. A conclusion that restates your main argument and main points. Focus on the first and last paragraphs first. This will help you stick to your argument and main points. Be clear. The paragraphs in between your first and last paragraphs should clearly explain your main points. Start each paragraph by stating the main point that you want to talk about. Proofread your work. Check your work for grammar and spelling errors. Improve sentence structures with the time that’s left. Keep in mind that the saying, “practice makes perfect” applies here. Mastering essay writing takes a lot of practice and reading. Begin practicing your writing as well improving your comprehension skills with our Free GED Practice Tests for Language Arts. We also recommend reading high-quality newspapers, publications, and literary pieces to help build your English writing skills.